Caroline Curtis filed this request with the Office of the Attorney General of Rhode Island. · Policies and procedures on the revocation of firearms permits and licenses. · Any and all available policies and procedures regarding local firearms policies. Please provide all such materials that alter or supplement departmental procedures. · Policies and procedures regarding the sale and purchase of firearms. 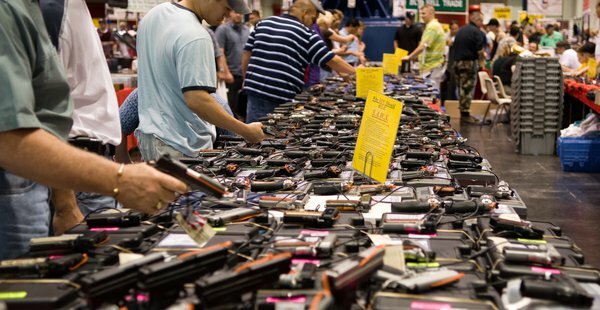 Please include materials for particular venues, if available, including, but not limited to the sale and purchase of firearms at gun shows. · Policies and procedures regarding the transfer, either out-of-state or between individuals, of firearms. · Please include all segregable data. · the issuance of firearms permits and licenses. · the revocation of firearms permits and licenses. · incidents involving the use of a firearm. · the sale and purchase of firearms. A review of this Departments records reveals documents responsive to your APRA request. Attached to this email, please find a .pdf document entitled “Weapons Carry Permit Packet,” consisting of thirty-nine (39) pages. This document is responsive to most of your inquiries concerning policies and procedures. This Department is continuing its review to determine whether it maintains additional documents, including but not limited to the statistical data you requested. As such, the time period to respond to this request is extended pursuant to R.I. Gen. Laws § 38-2-3(e) due to the number of public records requests pending, namely seven (7) APRA requests currently pending, including two (2) requests that are voluminous and time consuming. Thus, no documents can be provided. See R.I. Gen. Laws §38-2-3(h). · All available data, statistics, or reports regarding matters pertaining to licensure of firearms permits and licenses. · All available data, statistics, or reports regarding matters pertaining issuance of firearms permits and licenses. · All available data, statistics, or reports regarding matters pertaining to the revocation of firearms permits and licenses. This Department’s annual report located at http://www.riag.ri.gov/documents/2015AGAnnualReport.pdf may also contain responsive information. If you would like a hard copy of this report, please advise. Please note this report reflects this Department’s data only. It does not include pistol permits issued, denied or revoked by the police departments of the individual cities and towns. You may wish to contact the individual cities or towns or the Rhode Island State Police. This decision can be appealed pursuant to R.I. Gen. Laws § 38-2-8.